Convert in unmatchable speed and in high quality with Xilisoft HEVC/H.265 Converter. Convert HEVC/H.265 to H.264/MP4 formats, H.264/MP4 to HEVC/H.265 formats. 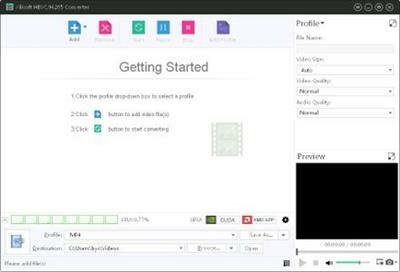 Besides, you can also extract audio from video files and convert to MP3, AAC, WMA and WAV.